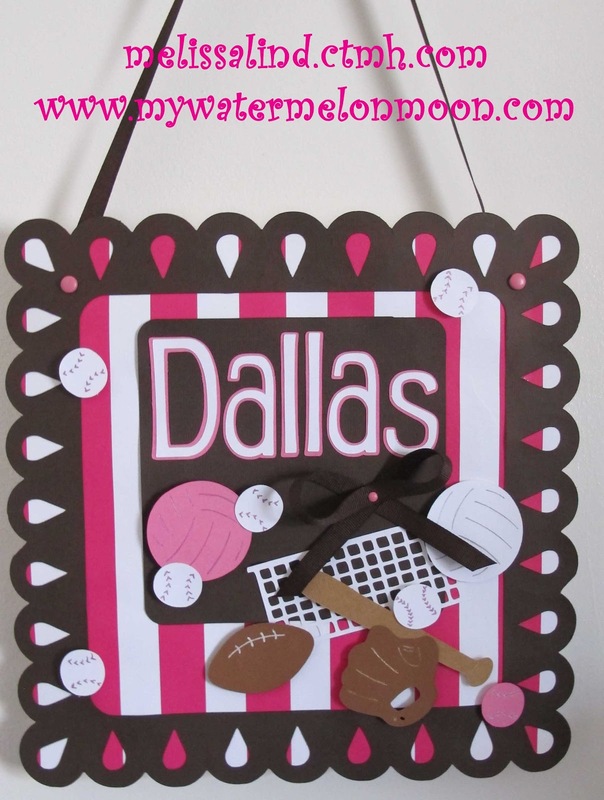 My Watermelon Moon: Girls dorm room decor with a sporty twist! So for this project I used my Cricut Expression and glue, add in a touch of ribbon and that's it! Even sans the flowers and butterflies, I think that the sporty version turned out adorable! The stripes ended up the perfect background paper! Cricut Art Philosophy for the base, border and name plate. Cricut Everyday Paperdolls for all of the sports accessories! Easy peasy! I used some pop up foam for many of the pieces to give it dimension and my metallic gel pens to add some detail to the balls. Now wait until the matching chalkboards up next! SO excited! oh my, this is super adorable, hope you have a great week! Thanks for inviting me over to visit your blog. I love this post. It is really cute. Have a great time helping her decorate her room. I am from Adorned From Above. Thanks for visiting and following my blog. I am your newest follower. LOVE this project! Great colors and super cute! 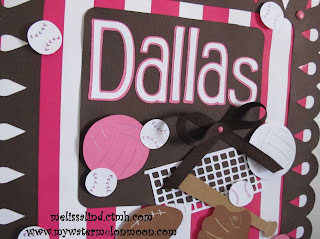 thanks for your sweet comment on LMM and AWESOME job on the new blog!